Today I got creative. 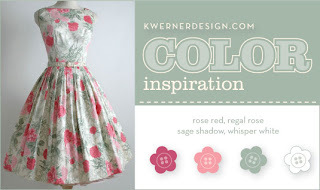 I used the color inspiration from Kristina's blog. This is the first time I have entered one of her challenges. She gets hundreds of entries, so the chance of her choosing mine are slim, but we will see. Below are the colors she picked from the picture. This is what I came up with. What do you think? I can't decide... I hope you can tell it says "hello". I thought using the flower in place of the O would live'n it up. Or does the other word jump out at you to much? Thanks for checking in. I may have another post later tonight. Gasp!!! Two post in one day!! What am I thinking?!! Later. I love it! And of course you can tell it says 'hello' and I love the flower for the 'o'!! It's super cute! BTW nice blog - and I love your pic with your sweetie! It's very very pretty! I love how you used the flower for the "o"! TFS! This is really cute. I like the color combo you chose. I might have to "lift" this one from you ;)..I promise to give you all the credit! !